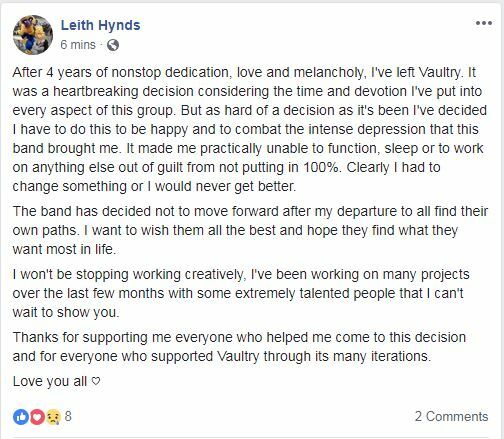 Band members Leith Hynds and Damian Anthony also posted public statements on their personal Facebook accounts announcing the split. Vaultry formed in 2014. 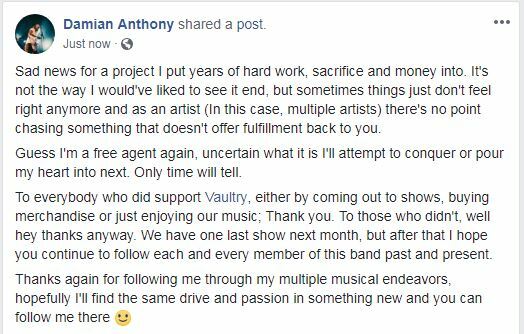 The band released their 10-song LP ‘Eulogy‘ in January of 2017 and became The [email protected]’s Band of the Month for June of 2017. 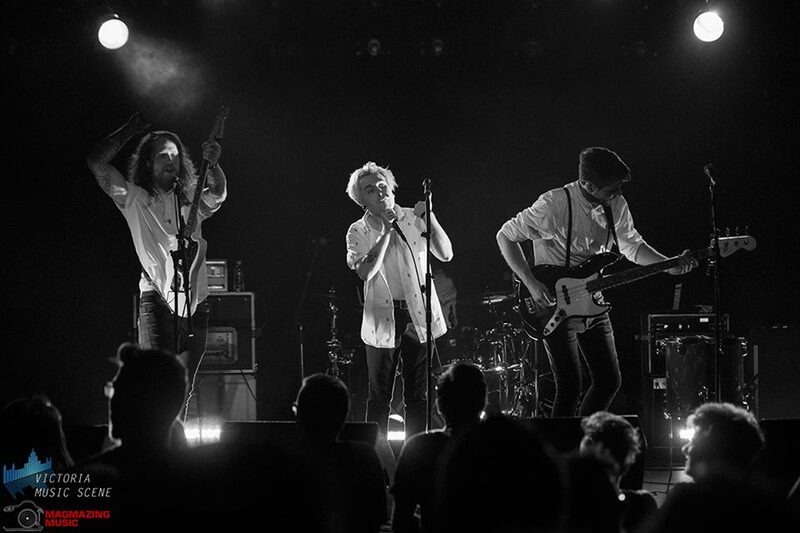 This past June they released their last single ‘Other Drugs‘. 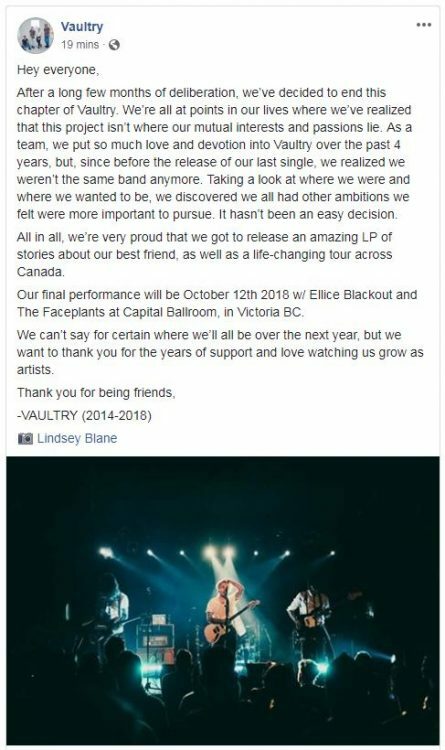 Vaultry’s final show together will take place Friday October 12, 2018 opening for Ellice Blackout at Capital Ballroom.